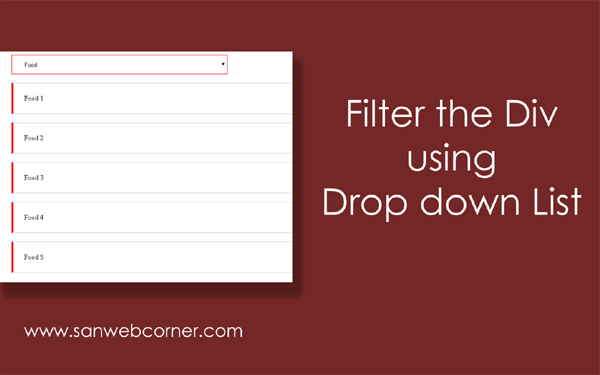 In this post i am explain about how to Filter the div contents based on select box ( Drop down list). This is one of the useful concept for developers who need filters for div with the help of select button. When you select the values from the drop down list, The corresponding Div will display with in the Webpage. This type of filters will use commonly in website in various places.